The big one. The issue of what this land is to be used for has been a topic of argument and discussion for months, perhaps years now. Basically, the area below is to be covered in houses. Nothing has changed since our first visit in early March. 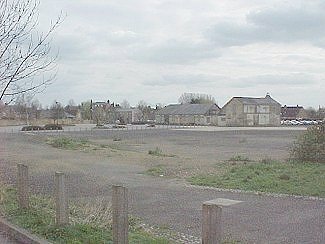 The site of the proposed Riverside development. We are looking from Broad Street down towards the river which is just beyond the buildings in the distance. As you can see, the area has already been flattened and cleared ready for construction to begin. 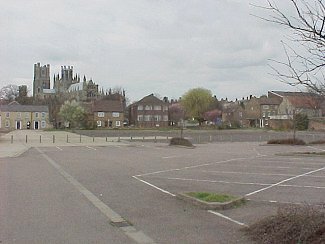 We now look from the site of the proposed development back towards Broad Street and the Cathedral. 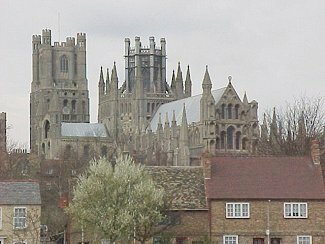 Possibly the best view of the Cathedral to be had anywhere? I am standing right in the middle of the proposed development looking over Broad Street and up to the Cathedral.